Enterprise resource planning or ERP is a software solution in UAE to help every size of business whether small or large to adapt the modern and automated way to run the business processes smoothly and successfully. In this era where every business needs to change their processes – be it the change in business communication methods or the way technology plays a role in everyday operations. To succeed in this change and to lead companies to see different ways to make their business grow effectively by adopting different measures. Keeping in view this situation businesses choose best ERP Solutions to improve efficiency and fuel growth. 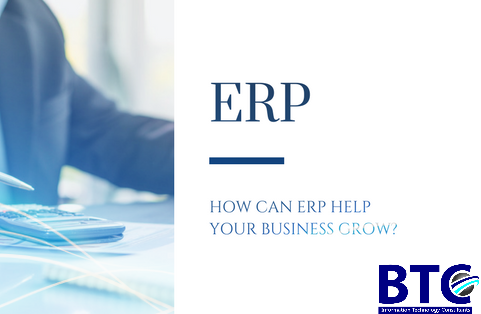 Businesses need to ensure that the ERP solution they choose contains a solid, scalable, user-friendly platform which can grow as requirements evolve. Well selected ERP Solution In Dubai helps you supervise and take control of your business in many ways. Like if you need to simplify functions of CRM, financial, sales and inventory management then you can view your company budget and select SAGE 300 UAE. An effective ERP solution will allow you to concentrate on the people who really matter – your customers. By providing a picture of what is working and what isn’t, an ERP solution can dramatically increase your insight into marketing effectiveness, allowing you to efficiently funnel people into your sales pipeline. Every business needs the security of data and information. With ERP solution, you can have control over this and assign only a few authorities to use or access your data. Also, strategic information can be maintained in one place while updates to such information can be done by one or more authorized people. As your business expands, every process is hosted on different platforms and run with different applications or software programs. This brings a degree of complexity when it comes to the handling of similar data by your employees from different departments. In such a situation, it is quite likely that your accounts team handles certain software for recording income and expenses whereas the sales team uses completely different software to record sales, which actually form an integral part of your income leading to duplication of data and other errors. ERP software integrates various processes that are essential to run a business enterprise into one single database. These processes include inventory and order management, accounting, human resources, customer relationship management (CRM), among others. By streamlining all the processes into one effective system, ERP provides your business with a shared database that supports multiple functions across your enterprise. Accurate information about every business perspective is important in today’s fast-paced business world. You need to manage online and offline aspects of your business and make sure your various departments are communicating in the right manner. ERP system in Dubai helps ensure that everyone has the data they need — all neatly managed from a central source. In the world full of competitions and continuous changes no business owner can adapt everything perfectly, for this they need the help of good ERP system which can help them to grow and assist in performing various business operations effectively. Grow with BTC solution of ERP softwares in UAE and ask our help in choosing the right ERP for your business.